On Columbus Day, the library is closed. I head over to MoMA to check out Teiji Furuhashi’s “Lovers”, Nan Goldin’s “The ballad for sexual dependency” and modern interior furniture from 1920-1930s Germany on the third floor. But before I reach the sixth floor, I’m feeling a bit peckish…so I try the food on the Cafe on the 5th floor. 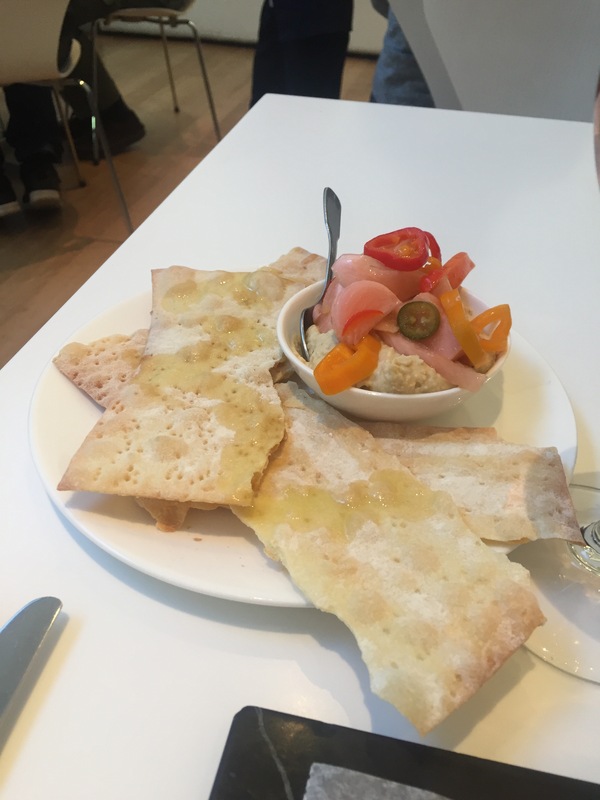 The hummus was in a word, boring (thus, all the unnecessary peppers and pickled vegetables) and the salmon toast, well, it wasn’t was I was expecting. 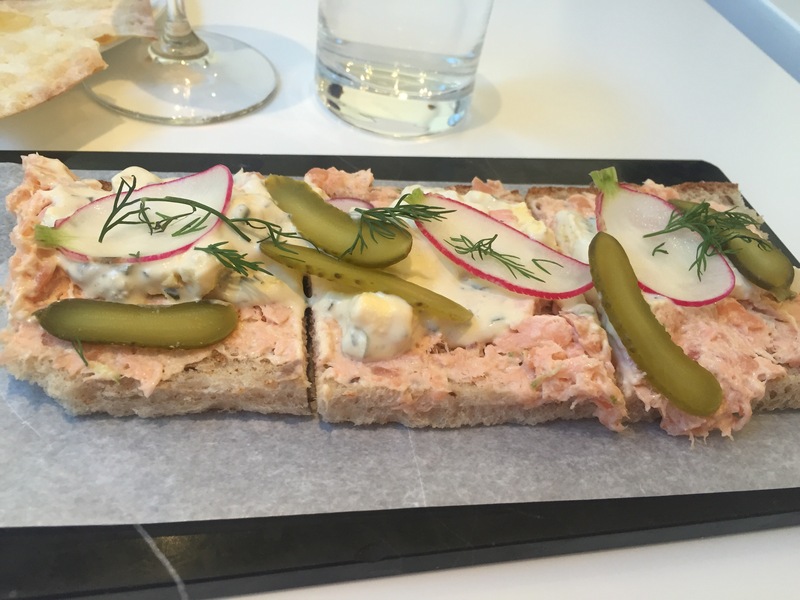 I wish they didn’t use cooked salmon, and the rye bread they used was very off-putting. The Rose wine was nice and dry, so some points for that. Hopefully before the High Holidays end this week, I will digest a lunch that is worthy. MoMA, I love your art, but not your food. Until next time, Happy Columbus Day!